Hello everyone! I've been busy soaping lately and I didn't have much time to blog about it. 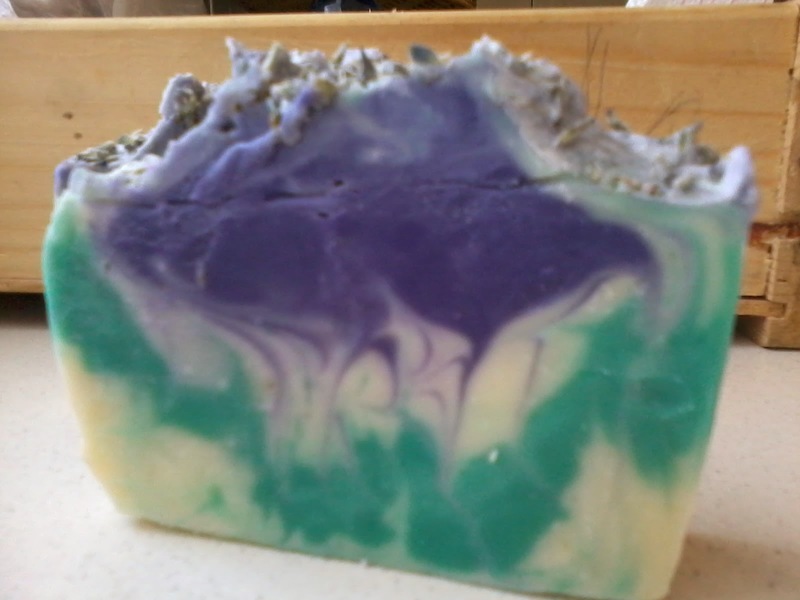 This is the soap I made back in March and it was the first time I tried the secret swirl or the so called "hanger swirl". 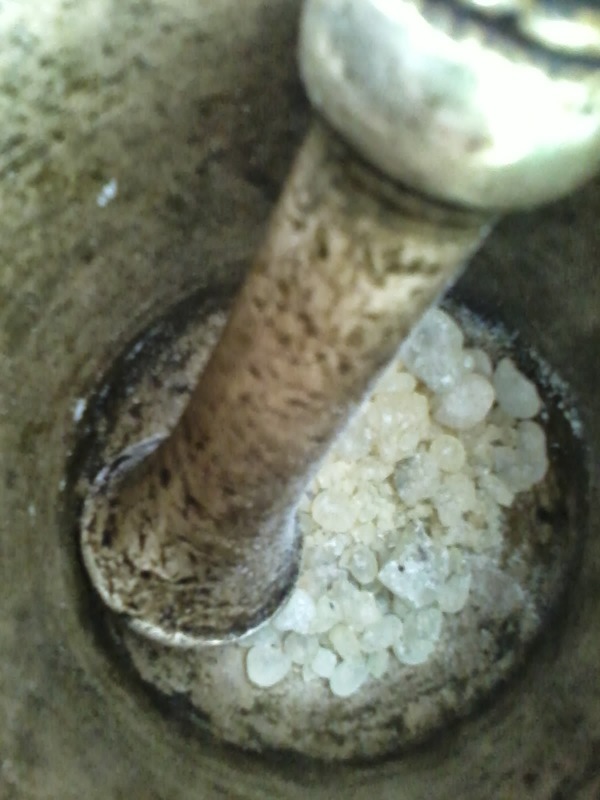 It was also the first time I used Mastic in soap, but since then I wrote about couple of other soaps I made with Mastic, but forgot to write about this one that was actually the first. I used Olive oil, Palm oil, Coconut oil, Shea butter and Castor oil for this batch of soap. 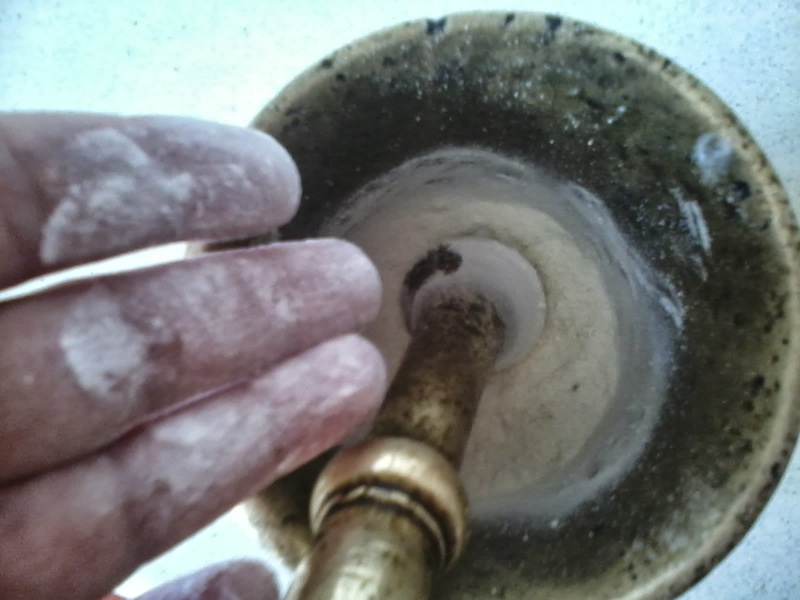 So, the first thing I did was to ground the Mastic resins in the mortar until it turned into powder. Then I set it aside and prepared my oils and lye. 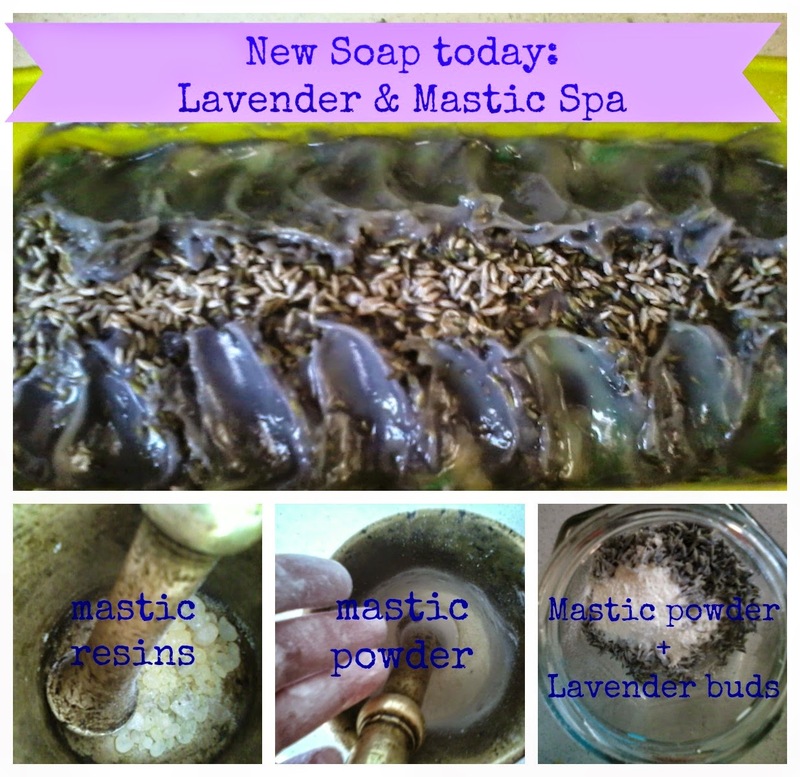 After I mixed lye and oil and the soap reached a light trace, I added 1 tsp of Mastic powder and added it to the soap after the light trace, then added Palmarosa and Lavender essential oils. 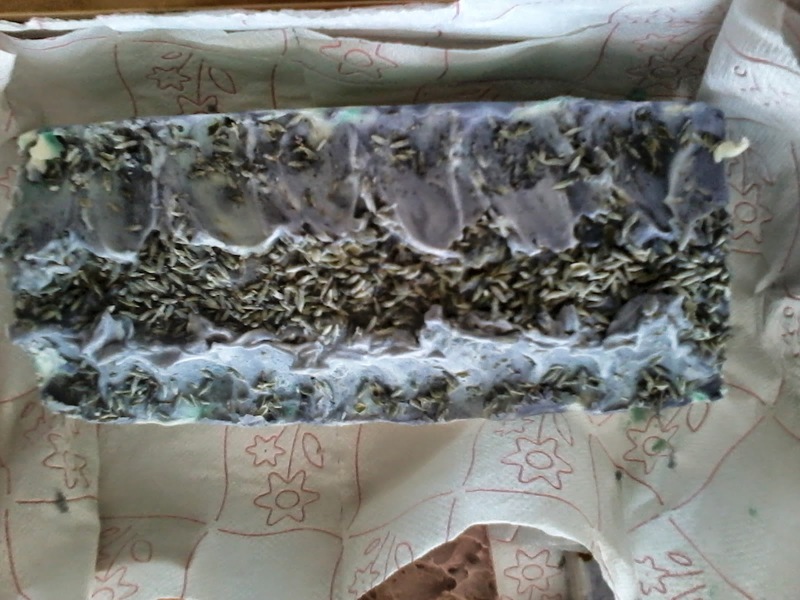 I sepparated the soap into 3 parts. 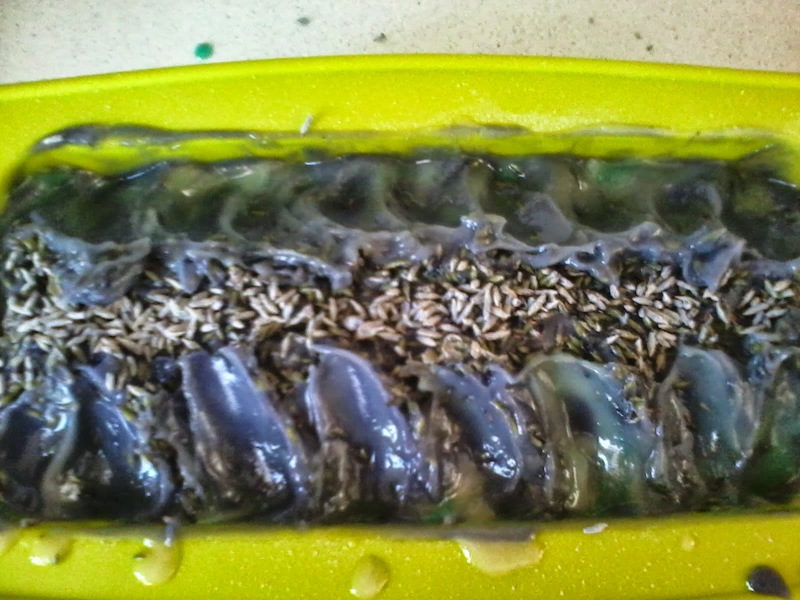 Half of the soap I left in natural color, 1/4 I dyed with Violet pigment and the other 1/4 with Green pigment. 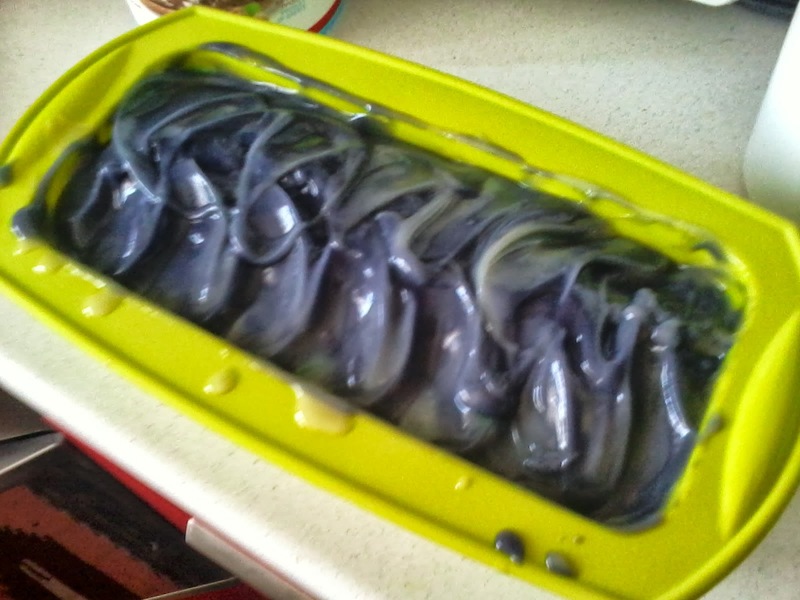 I poured the non-coloured soap first, then a layer of green, then again the non-coloured and I finished with the violet color. I poured the layers slowly over the spatula, to avoid the color penetrating the layer below. 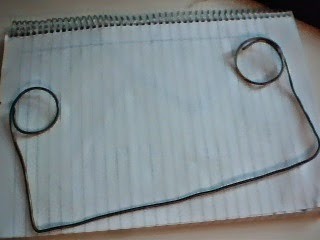 Then I used this contraption I made from my jewellery making brass wire, but you can use the wire hanger instead. I don't know what happened to the photos of the actual swirling, I know I took them, but I can't find them now... What I did was to immerse the wire down on the side of the mold and move it a fraction, then up and out, then move it a fraction and down, couple of times, until I reached the other side of the mold. Then I went the other way, back to where I started. But the next time, I might just stop here. 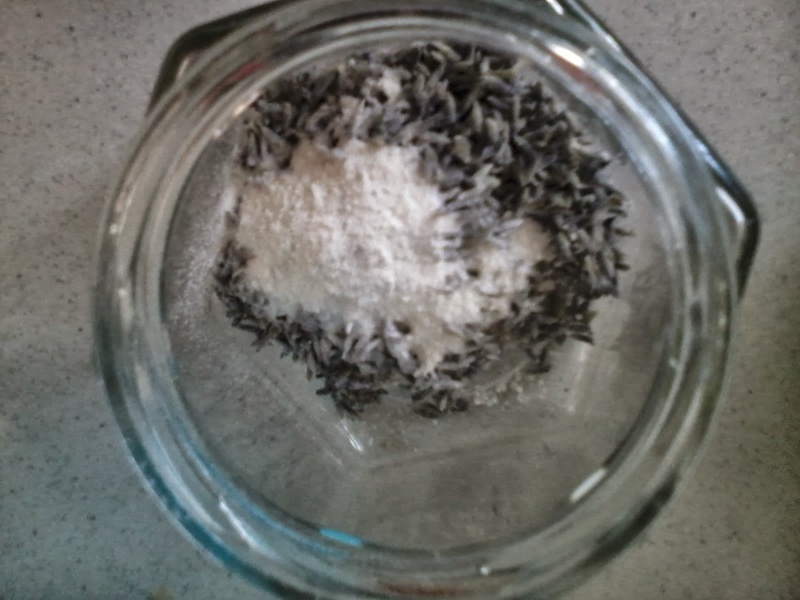 Next, I mixed the rest of the mastic powder with dried lavender buds so that I can sprinkle it on top. And here is the result of my first attempt at doing the "hanger swirls"
Well, that's it. 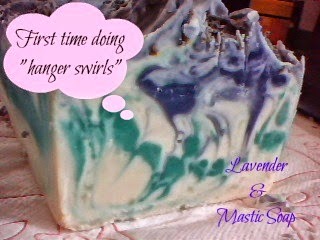 I enjoyed playing with swirls, I think I might try "in the pot" swirls next time. Happy Easter everyone! 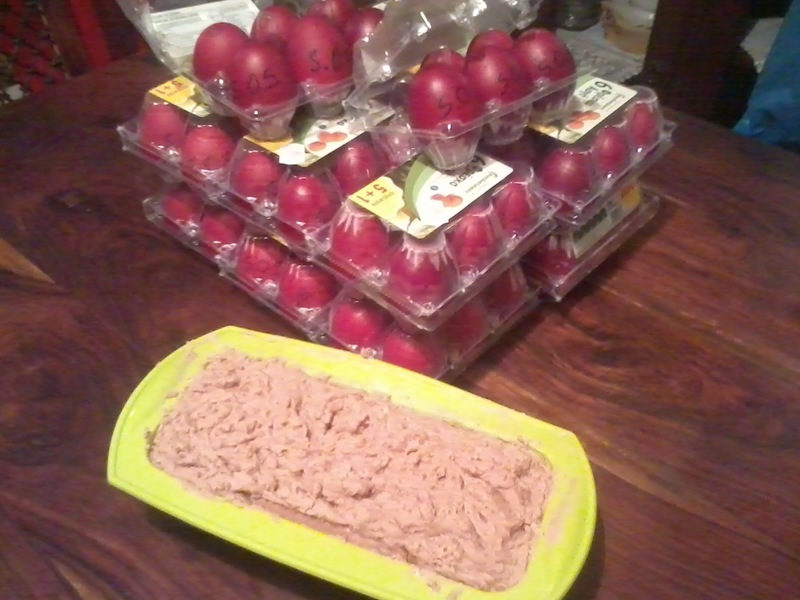 Here is a photo of a batch of Strawberry soap and 90 S.O.S. 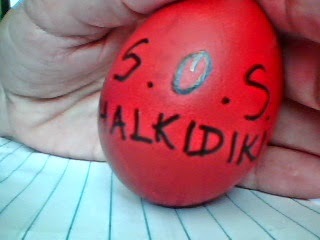 eggs that I dyed yesterday for our anti gold mining committee event. We will be sharing them to people at Aristotles square in Thessaloniki this Thursday to raise awareness about the consequences of open pit gold mining at Skouries, Halkidiki. See you there!